The breadth of scientific and technological interests in the general topic of photochemistry is truly enormous and includes, for example, such diverse areas as microelectronics, atmospheric chemistry, organic synthesis, non-conventional photoimaging, photosynthesis, solar energy conversion, polymer technologies, and spectroscopy. This Specialist Periodical Report on Photochemistry aims to provide an annual review of photo-induced processes that have relevance to the above wide-ranging academic and commercial disciplines, and interests in chemistry, physics, biology and technology. 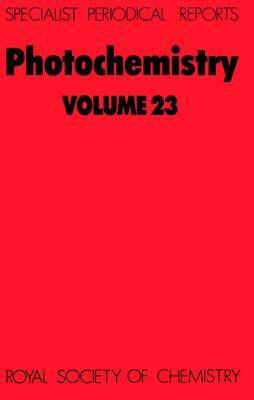 In order to provide easy access to this vast and varied literature, each volume of Photochemistry comprises sections concerned with photophysical processes in condensed phases, organic aspects which are sub-divided by chromophore type, polymer photochemistry, and photochemical aspects of solar energy conversion. Volume 34 covers literature published from July 2001 to June 2002. Specialist Periodical Reports provide systematic and detailed review coverage in major areas of chemical research. Compiled by teams of leading authorities in the relevant subject areas, the series creates a unique service for the active research chemist, with regular, in-depth accounts of progress in particular fields of chemistry. Subject coverage within different volumes of a given title is similar and publication is on an annual or biennial basis.